Shiny, stretch-knit opera length glove. Skeleton and rose print fishnet over the elbow gloves. Wet look, ribbon lace up gloves. Elbow length sequin and lace fingerless gloves. Big diamond net fingerless arm warmer. Elbow length fishnet fingerless gloves. 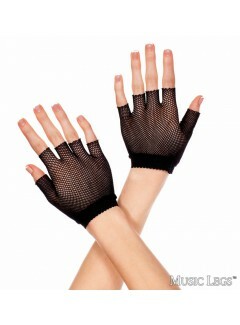 Fingerless fishnet ebow length gloves. Fishnet wrist length arm warmer with skeleton. Stretch satin elbow length gloves.